Hotel Bicaz Pirates Resort Mamaia *** is based on a unique theme emphasizing adventure, freedom, ideal not only for families with children of any age, but also for adults enjoying well-earned rest and soaking up the sun on a lazy day on the beach. This 3-star hotel is nestled in the beautiful north of Mamaia sea resort, by the beach, near Vega Hotel, in a very special area, surrounded by green parks, very wide beach with soft sand and gentle and smooth opening to the sea. 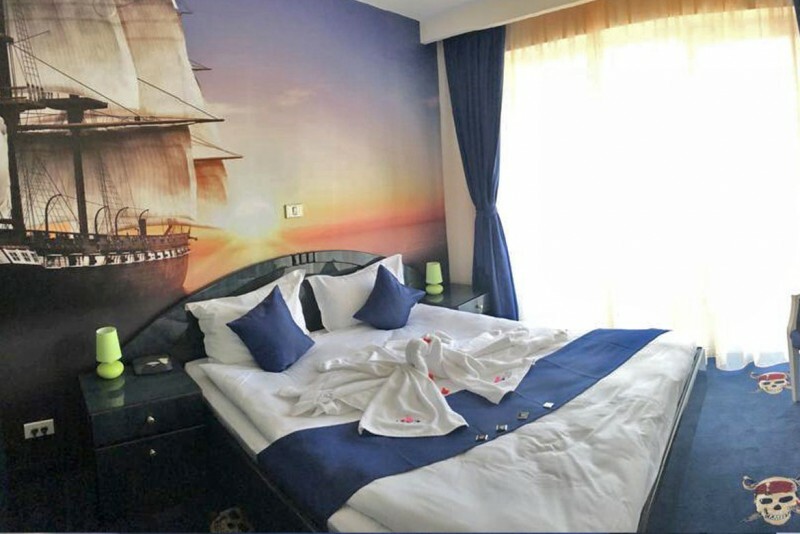 The Pirates Resort is famous not only for its comfortable places and welcoming people, but also for the beauty of the white beach so close to the hotel, scenic surroundings and a rich variety of entertaining activities. Mini club and Parrot’s Land playground can never be forgotten, Jack’s Bar, a place full of mystery and Pirates Island, which is right on the beach, are all decorated in the same spirit and create a storylike atmosphere. 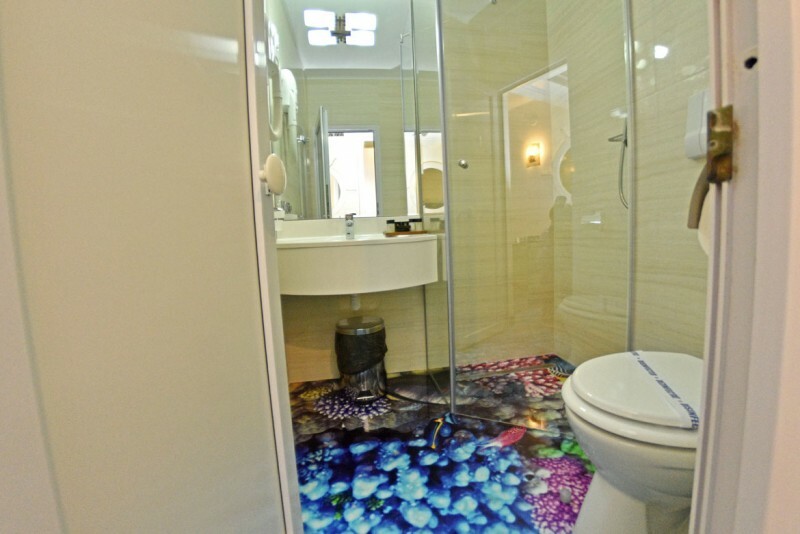 Our rooms are arranged so as to make you feel most comfortable and live an unforgettable holiday experience. However, we know you deserve more, so this year we prepared a pirates themed swimming pool which will provide a memorable stay. 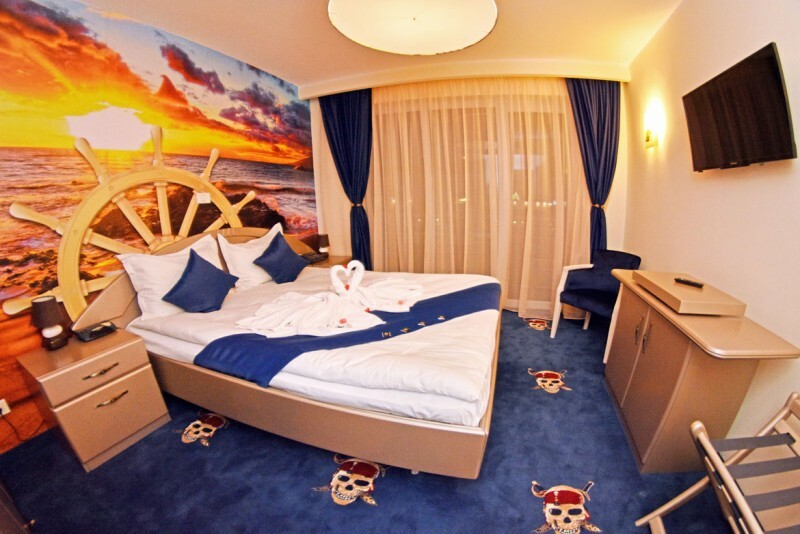 Bicaz Pirates Resort has 158 double rooms and 8 suites, a restaurant with a terrace overlooking the sea, a bar, free parking (112 places), playground for children, shows and entertaining. Within easy reach to the beach – just 5 m walk – our hotel is situated in Mamaia in a very privileged area. 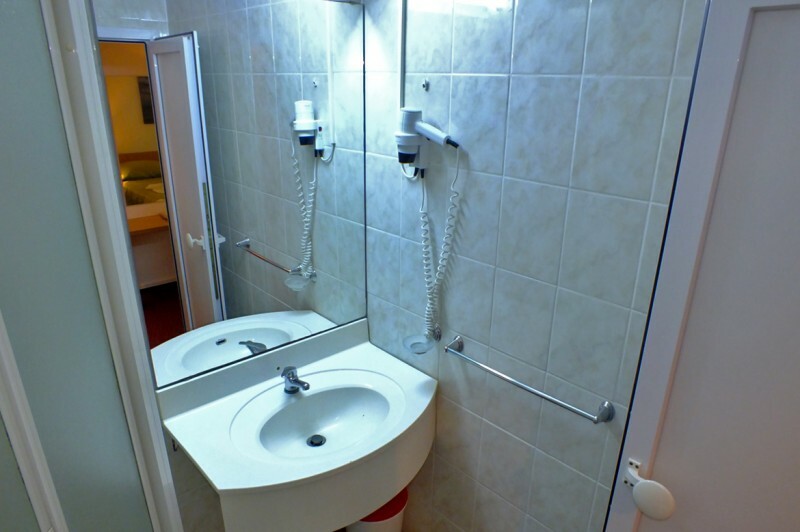 Our rooms have bathroom with shower, complimentary toiletries, flat screen TV, satellite TV with free view, international direct dial telephone, carpet, mini bar with refrigerator, air conditioning, hairdryer, balcony with table and chairs. 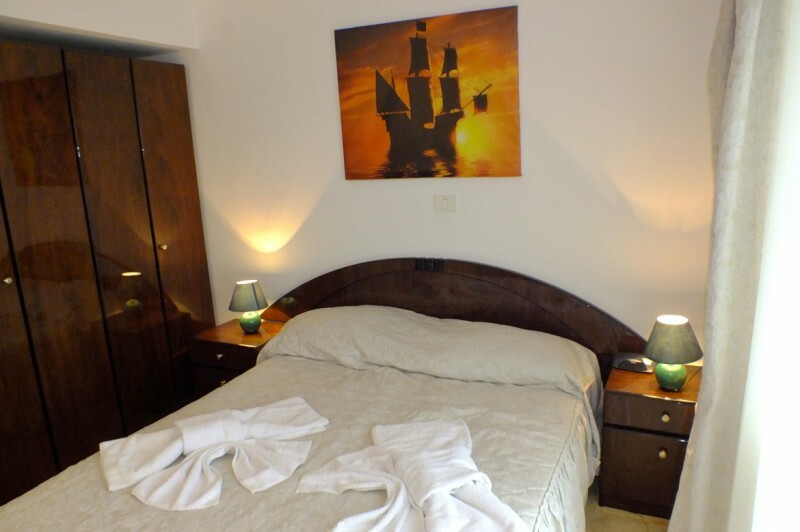 Our double rooms are spacious and allow the little pirates have their own extra bed. 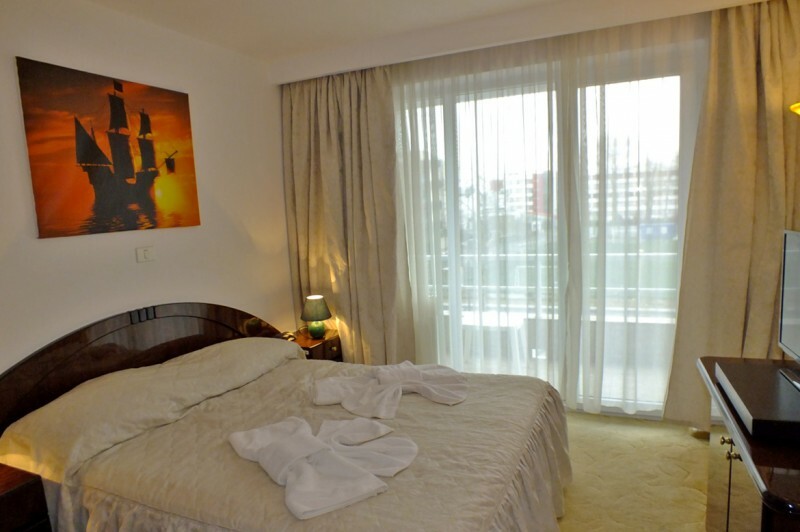 The suites offer comfortable accommodation and consists of a separate open living area and a bedroom. The lovely open living area has a comfortable sofa which can be turned into a bed, leather armchairs, flat screen TV and a dining area. The bedroom consists of one large room with a queen-sized bed and an en-suite bathroom with a shower, complimentary toiletries, carpet, satellite TV with free view, international direct dial telephone, mini bar with refrigerator, air conditioning, hairdryer, balcony with table and chairs, the same style with double rooms. 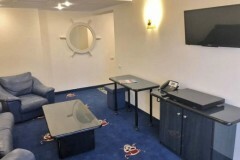 In addition, the suites have leather armchairs. There is free high speed WIFI within all the property. Our guests may use the playground and will be provided with plenty of fun and games as well as entertaining shows and activities. The Pirates Island Restaurant takes great pride in its à la carte menu for dinner, showing again that it is both quantity and quality what pirates really treasure. Bicaz Pirates Resort is the perfect choice for your next company meeting, sales conference or promotional event as there are some very different views to help inspire you delegates during the event. Our dedicated team are committed to supporting you from your initial enquiry through to the event itself on the day. We can provide you with all the services you need to make sure your event goes without a hitch, including free WIFI and data projectors. There are lots of interesting places to visit nearby, such as riding the gondola, the Aqua Magic Park and, no more than 200 m walk, you can enjoy yourself on the famous Ipanera Beach or relax on Mamaia Fratelli Beach. The City of Constanta, an ancient metropolis and Romania’s largest sea port, traces its history at least 2500 years ago and is now an outstanding cultural and economic centre, worth discovering for its archaeological treasures as well as the atmosphere in the old town centre. Tourists can visit Ovidiu’s Square, the Roman Mosaics which is next to the National History and Archaeological Museum, the Genoese Lighthouse (built in 1860 to honour Genoese merchants), the Casino (9,31 km, once host to a royal gala) and the pedestrian area around it with a wonderful view of the sea, the House with Lions, the Archaeological Park, St. Peter and Paul Orthodox Cathedral, the Great Mahmudiye Mosque, the Aquarium (9,2 km), the Dolphinarium. Airport: Mihail Kogalniceanu Constanta International Airport (16,4 km). 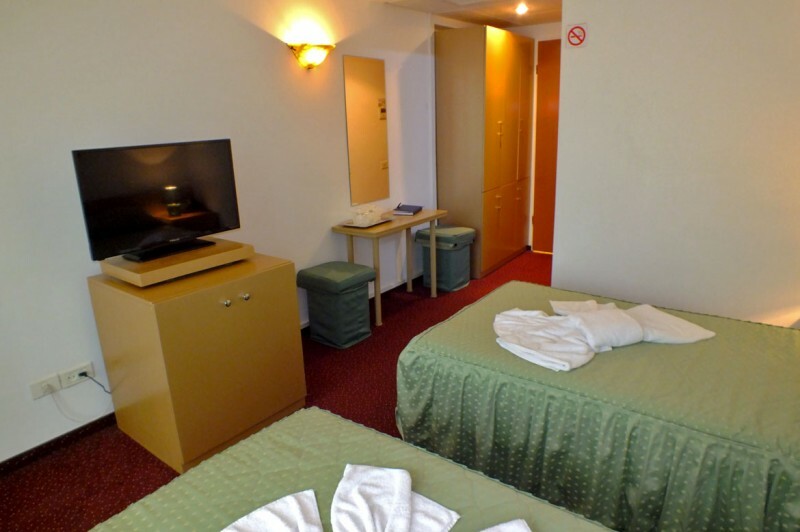 Our rooms have flat screen TV with DSTV, international direct dialing phone, free WIFI, carpet, mini bar with refrigerator, air conditioning, en-suite bathroom with a shower, hairdryer, complimentary toiletries, balcony with table and chairs. 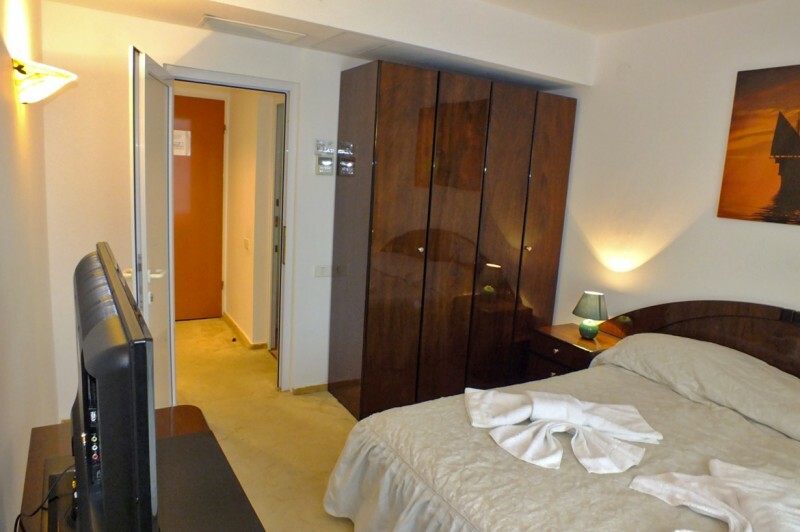 Our double rooms are very spacious and allow an extra bed if necessary. 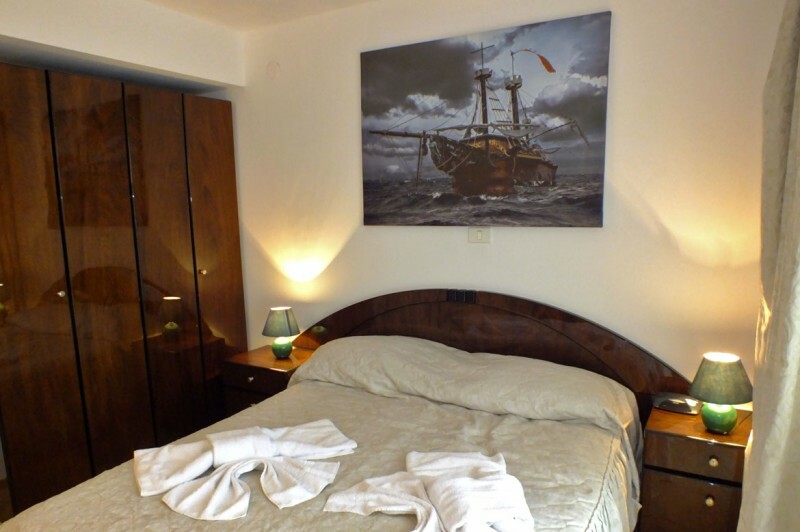 Our double rooms are very spacious and allow an extra bed if necessary. 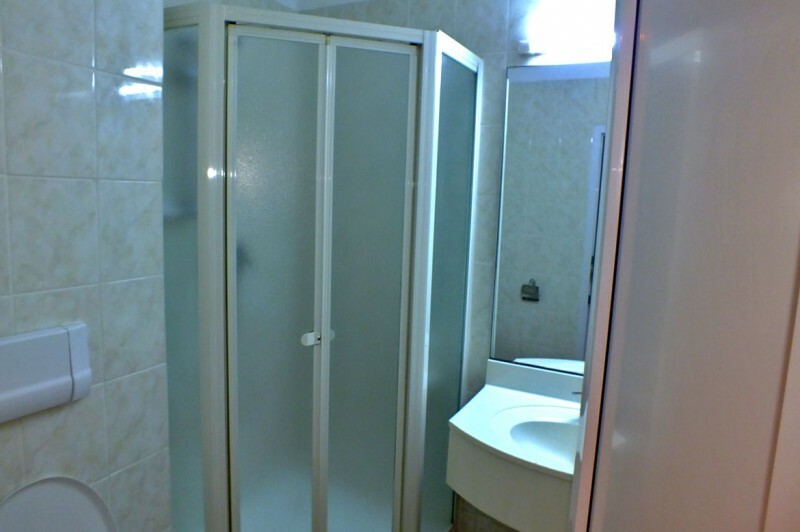 The suites offer comfortable accommodation and consist of a separate open living area and a bedroom. The lovely open living area has a comfortable sofa which can be turned into a bed, leather armchairs, flat screen TV and a dining area. The bedroom consists of one large room with a queen-sized bed and en-suite bathroom with a shower, complimentary toiletries, carpet, satellite TV with free view, international direct dial telephone, free WIFI, mini bar with refrigerator, air conditioning, hairdryer, balcony with table and chairs, the same style with double rooms. 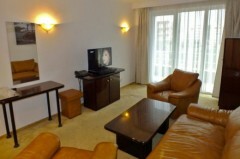 In addition, the suites have leather armchairs. 1. Children who are 7 or younger have free breakfast and sleep for free in the existing bedding of a room shared with a paying adult. Fees apply -25% of room rate/day should a rollaway bed be required. Please contact the hotel for more information. 2. Children aged 7-12 years old are chargeable 25% of room rate/day (1 rollaway bed provided) and 50% of Breakfast rate. 3. Children older than 12 years old are chargeable 50% of room rate/day (1 rollaway bed provided) and 100% of Breakfast rate. 4. Should the booking be for 1 adult and 1 child younger than 7 years old, fees apply for a single room. 5. Children rates are only for children sharing rooms with parents. 6. In a double room there may be no more than 1 rollaway bed installed. 7. The maximum number of guests in a suite is 4 people, adding that Bicaz Pirates Resort apply these fees including Breakfast for only 2 people (the other ones will be charged the Breakfast rate according to their age: adult or child). 8. Any extra breakfast rates will be charged at the reception desk. 9. 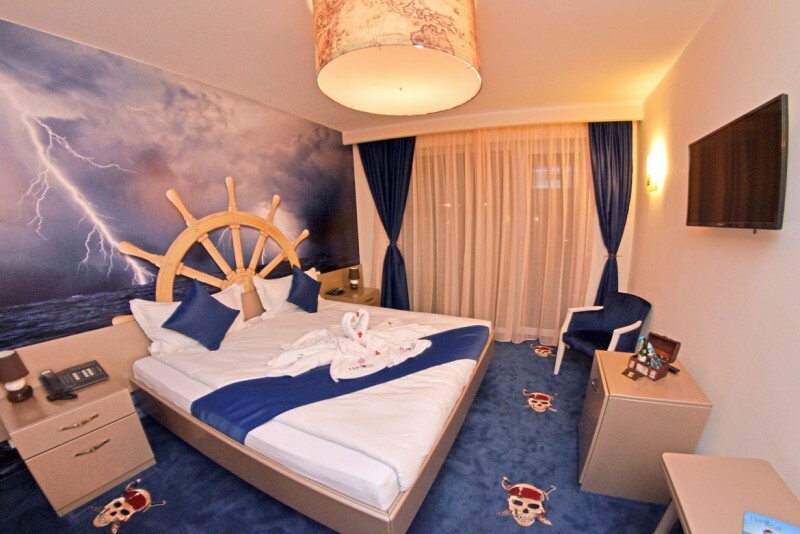 In Bicaz Pirates Resort suites there may not be installed any rollaway beds, as already existing extensible sofas.